EP 12 Meet Carrie Collins and Move with her! 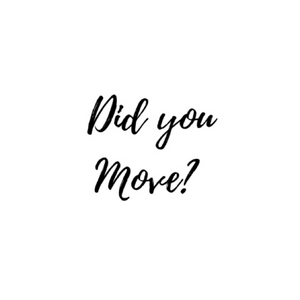 An episode of Did you move today? The "Did you move today?" podcast's mission is to bring movers, doctors, and artists together. Our goal is to promote movement and love for the body. When we think about movement we think about movement inside and outside the body. Why do we do this? Because no matter our race, language, country, and culture we live in a body and because Science and Art cannot be separated. S2 E15 Meet Steven and Move with Him! Steven Schroeder is honestly one of the most inspirational humans. He inspired me to start sleeping on a mat and practice non-attachment. Thank you very much Steven! You can find him at Moksha Yoga Chicago. S2 E14 Meet Emily and Move with Her! Here is a tiny episode of my conversation with one my best-friends, Carmen, and I think everyone needs a friend like her. ❤️ “I don’t like the concept of Failure (...)as long as you are going in the right direction you are fine(...).” We had to keep it short because we were having some issues with the signal. S2 EP11 Meet Sonia & Eddie and Move with them! In this episode Sonia and Eddie talk about love. They both believe that movement is love. For them love could be challenging but also beautiful. Self love is very important but sharing with people is also possible. Thank you to both of you! S2 EP10 A bed?! Yes I have a bed now. The day that I got rid of my bed. Thank you Steven and Carmen! Meditation with Andrea. Take some time to breathe and relax. S2 E8 Meet Melina and Move with Her! S2 E7 Recap. Meet Héctor and Move with Him! This is a recap. of what I’ve learned from Héctor Martinez. He has been practicing breaking since 2001. He is a part of Brazilian Jiujitsu Gracie in San Salvador, El Salvador. He is currently a student of Yoga Therapy and Movement Integration. You don’t want to miss this tiny recap. S2 E6 Meet Hector and Move with Him! Héctor Martínez. Bailarín de Breaking desde el 2001. Integrante de Brazilian Jiu Jitsu Gracie San Salvador. Actualmente estudiante de Yoga Terapia e Integración Emocional en la escuela budista Mahajrya. S2 EP5 Meet MakeIm Kirton and Move with Her! I am a personal trainer and fitness instructor. I do what I do because I love helping others meet their goals. Also because I love how fitness is a self awareness journey. Fitness forces you to hold yourself accountable mentally, physically, and spiritually. You can reach out to me on my Instagram @makeim_kesomba. S2 EP4 Meet Carrie Pokorney and Move with her! S2 EP3 Meet Meagan Lombaer and Move with Her! S2 EP2 Meet Shante Cofield. The Movement Maestro. and Move! S2 EP 1 Meet DocJenFit and Move with Her! EP 15 Meet Hiral Vyas and Move with Her! 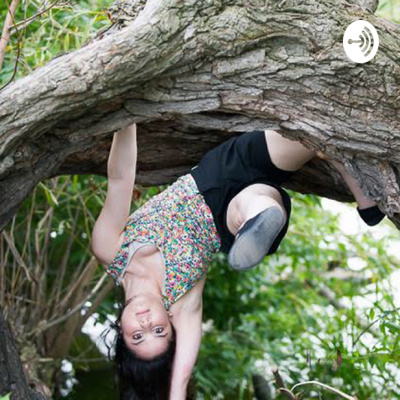 EP 14 Meet Lauren Ritchie and Move with Her! EP 13 Meet Marceia Scruggs and Move with her! EP 11 Meet Matthew Uohara and Move with him! EP 10 Meet Laura Spicuzza and Move with her! EP 9 Meet Carmen García and Move with her! EP 8 Meet Melanie Tull and Move with her! EP 6 It’s time for you to Jump! EP 5 Write your goals and move with them! EP 3 Minimalism: Less or More? Talking about Minimalism. Fabian and Andrea are super raw. They will be talking about Minimalism. EP 2 Take action and Move! Andrea talks about making dreams come true by following three pointers. EP 1 Welcome and Move! Andrea talks about why @andreamoves and the importance to say what you feel without hurting anyone.